Is Your Lawn Ready for Winter? Here in Alaska everyone loves the beautiful and colorful leaves that fall gives us. Both children and adults can enjoy piles of leaves to play in, however, it also means hours of work cleaning them up. As labor intense as it may be to clean-up and dispose of all these leaves, it is a necessity for your lawn to be leaf and debris free before the snow falls. Deprive grass of needed sunlight. This will cause brown patches and/or dead patches in the lawn. Suffocate the lawn by depriving the turf of vital oxygen. Trap moisture within the turf which can create fungus issues. 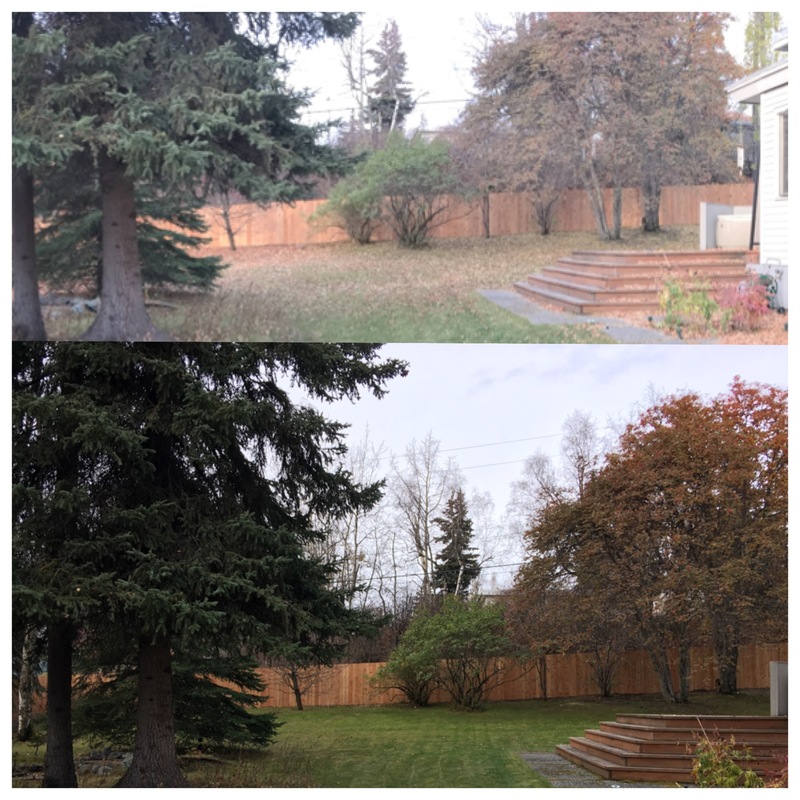 Leaf clean-up in just one aspect in assuring that your yard looks its best come spring. A complete fall clean-up is the key to preparing your landscape for a long winters nap, boosting its regenerative abilities for a healthy, beautiful spring and summer lawn. Let GEM’s team come and prepare your lawn for its winter hibernation, call us at 907-223-4666 to set up an estimate!